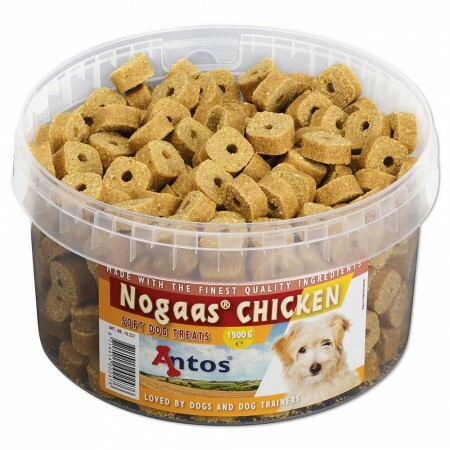 Nogaas® is a top product from the Antos semi-moist product range. These soft treats are perfect for training and rewarding dogs. They contain vegetables, minerals and a rich source of vitamins. 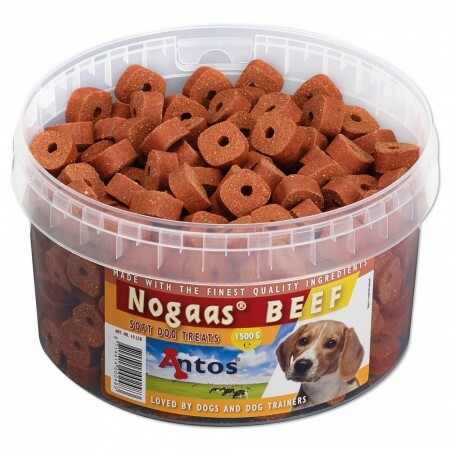 The treats have a high acceptance and are therefore loved by dogs and dog trainers. The Antos semi-moist programme offers a rich diversity of shapes and flavours. 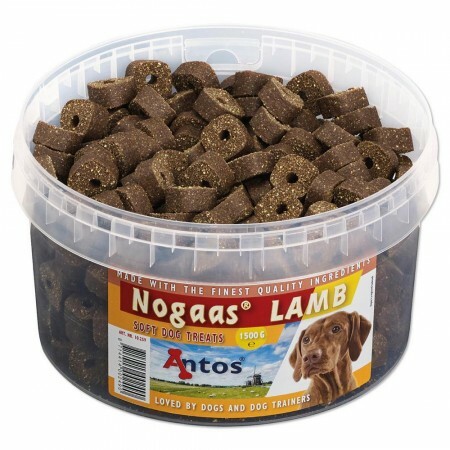 Besides Nogaas® there are also Mini Bones, Rolls, Jerkey Strips and Hearts in large and small sizes. Loved by dogs and dog trainers. High acceptance. For rewarding and training. Tasty and healthy. Strong flavour. A rich source of vegetables, minerals and vitamins.